Samridhi Group is the well reputed real estate builder in India. The Group is also known for its best deliver a residential project on time. Now they present luxury project named as “Samridhi Grand Avenue” in Noida Extension adjacent to proposed metro from Noida to Greater Noida. Samridhi Grand Avenue is fully furnished Ready To Move project that offering 2 BHK & 3 BHK wonderful flats with all amenities and facilities. The price of flats are starting from Rs. 33 Lacs in 980 Sq.ft. 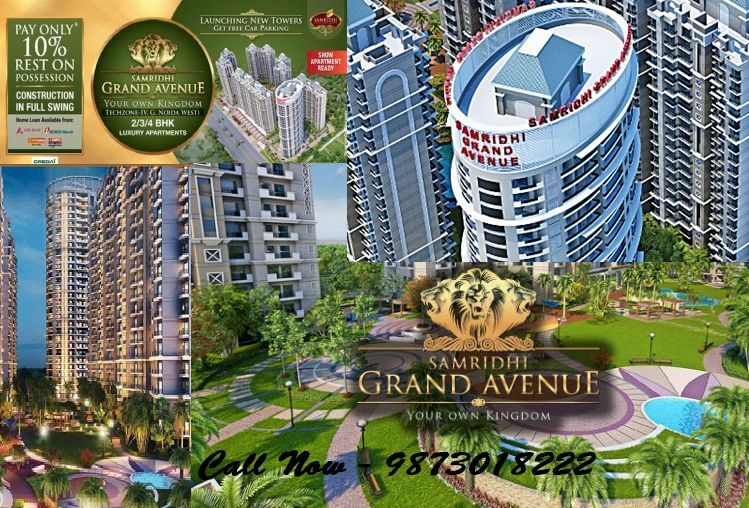 Samridhi Grand Avenue Ready To Move flat sizes is starting from 980 Sq.ft to 1685 sq.ft. It’s a one of the great property for investment purpose. This New year grab this opportunity and book your own dream home.